High protein pancakes are the perfect option for those leading sport and healthy lifestyle. QNT Pancake is formulated to provide you with energy and nutrition when you need it most. With a great balance of protein and carbohydrates, our pancakes are an excellent addition to any meal. USE: For one pancake, mix 1 full scoop (30 g) with 60 ml skimmed milk or water. mix vigorously until it resembles a classic pancake batter. 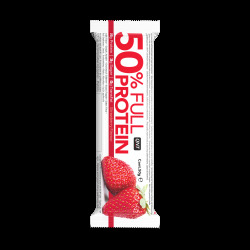 INGREDIENTS: oat flour, egg powder, whey protein isolate (contains milk), milk protein concentrate, dextrose, fructose, sodium chloride, thickeners: E466/E415, raising agent: E500, sweeteners: E955/E950, cinnamon extract, flavour. ALLERGEN INFORMATION: Contains milk, gluten, egg.